They Will Work With You All The Way! I used this Place to bail my brother out, they were really friendly!! I called many places and they were the cheapest place. They also have a lot of information on their website, such as crazy laws...... very informative! lol the video was hilarious! 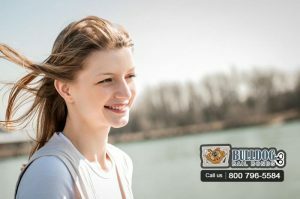 I have since referred a couple friends to Bulldog Bail Bonds, and will always keep your number handy for referrals and for myself should I need help again. 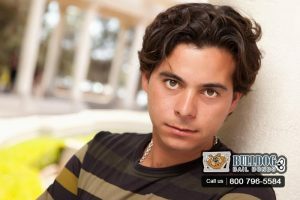 When my friend got arrested for violating his restraining order I talked to Bulldog Long Beach bail bonds to get him out of jail. I was happy with the help from Bulldog Bail Bonds. I feel that they were fast and easy to talk to. 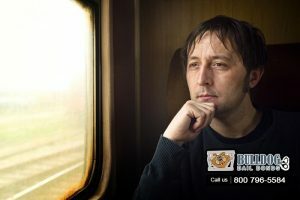 My experience with Bulldog Bail Bonds was excellent and I would recommend them to anyone who needs to help their friend. If you need to talk to a bail bond agent talk to these guys. They Have the Best Bail Bond Payment Plan! My sister got arrested in Visalia, so I googled bail bonds in Visalia. Came across Bulldog Bail Bonds and was very pleased to have been able to get help right from their chat box on the website. Their bail agent was able to work with me on a low payment plan. The whole process was easy, fast, and very helpful. I would definitely recommend Bulldog Bail Bonds to anyone that may need bail help. Needing a bondsman is usually not a good thing. But Bulldog Bail Bonds immediately made us (myself, and nervous friend) feel at ease about our situation. I would definitely recommend Bulldog Bail Bonds. It's never easy to have to handle these situations. Bulldog Bail Bonds was great at explaining the process and fees as well as calming our nerves. We are very grateful that we found them! They are fast, honest and to the point. Bulldog Bail Bonds made it a lot easier for me to through a difficult situation. I never imagined I would ever have to call a bail bonding company. It really caught me off guard as they were so courteous throughout the process. Bulldog Bail Bonds made it a lot easier for me to through a difficult situation. They will bend over backwards to make certain everyone is happy and completely satisfied with the bail process. They Got My Son Out of Jail in Less than 2 Hours! I felt so very clueless when my son called me from jail. He attends school there and was arrested for DUI. I called other bail bonding companies and they were reluctant to assist me. Within minutes of speaking with Bulldog Bail Bonds office, I was told you would be able to get him out, and you did. I am forever grateful. Thank you, thank you, and thank you. I hope to never need your services again, but if I do, it’s good to know you all are there. Bulldog Bail Bonds really helped me through a difficult time. They were there to answer all my questions and patiently walk me through the process. If you ever find you or your loved in this tough situation, I would definitely recommend the team at Bulldog Bail Bonds.” Thank you! I just wanted to write and say thank you. When I called I was totally stressed out and I didn't know where to turn. You kept me calm and held my hand through the whole thing. Thank you, thank you, thank you. I hope I never need your services again, but if I do, it's good to know you're there."